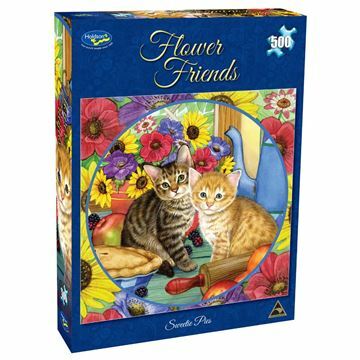 Collect all four designs from this colourful and vibrant Holdson Flower Friends 500pc puzzle series. Artist Jane Maday has beautifully illustrated cute animals and birds set amoungst flowers in the garden. 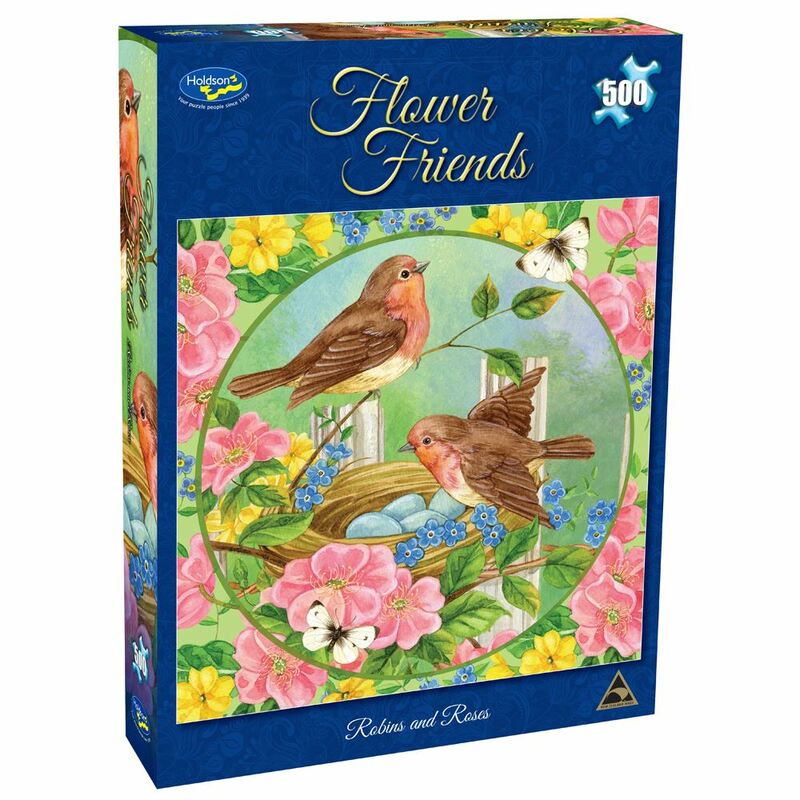 Titles include: Morning Bath Circle, Robyns & Roses, Petunia Pals and Sweetie Pies. Each design sold separately. Age 8+ years. Made in New Zealand by Holdson. 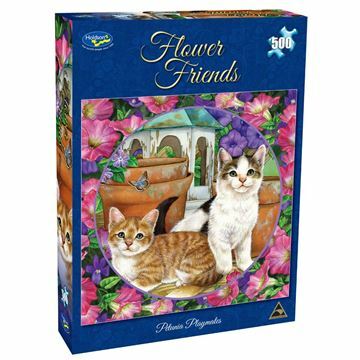 Approximate puzzle dimensions: 490mm x 488mm. Box size: 270mm x 370mm.